I’m always looking for new items to add to my home decor, and I love the sentiments in these faith artisan prints. Right now, these are a steal at $2.97 (reg. $10). I love the chalkboard look of the paper and the various sayings you can get. I can always use a little inspiration throughout the day, and these are perfect to hang around your home for a cute look and to keep you going to motivated, especially when you’re having a rough day. A twist on the traditional s’more recipe. 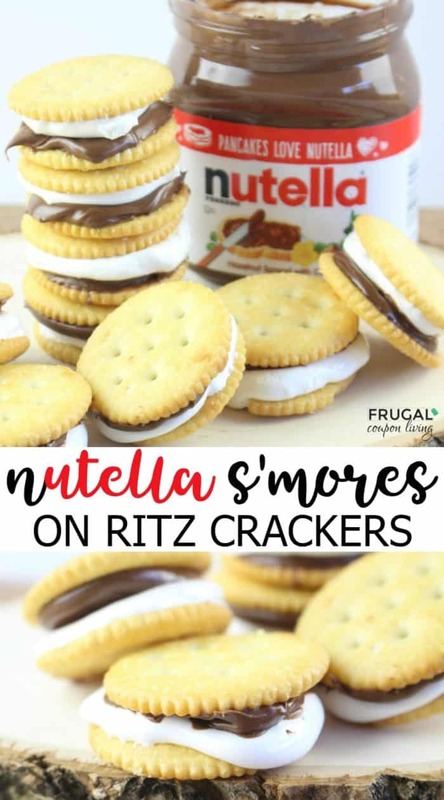 Think outside your classic ingredients with this Ritz Nutella S’mores using marshmallow fluff on Frugal Coupon Living. Take a look below on how we went one step further with this quick and easy dessert. You probably know from all the S’more Recipes on our blog, we are a bit obsessed with the rich taste of marshmallow, chocolate and a little crunch. 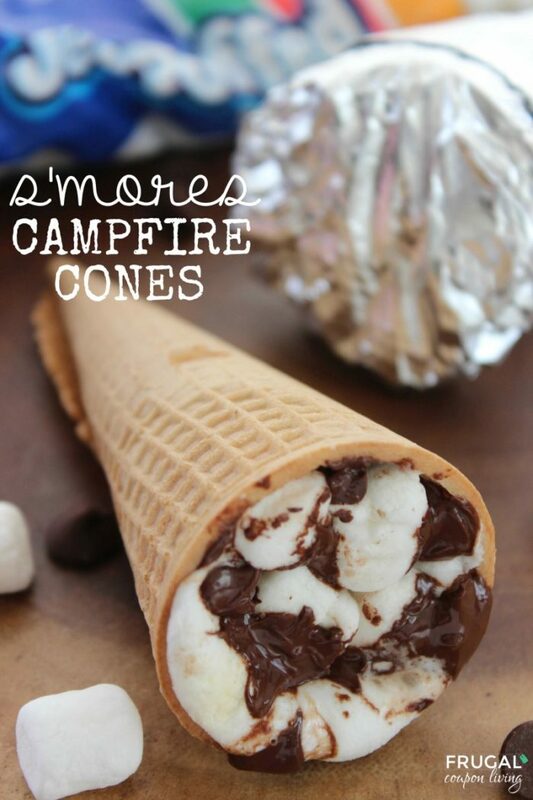 You might also remember from our S’mores Campfire Cones that we like to take a classic recipe and twist it up! Anyone else? Of course, a little twist to a s’more is trading your traditional chocolate for Nutella. But why not go one step further and twist of the traditional cooking your treat is placed on. 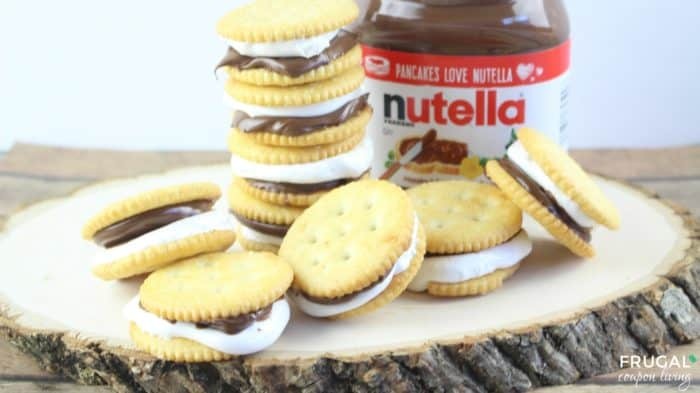 This Nutella flavored s’more is placed on top of a Ritz cracker instead of your well-known graham cracker. If you decide to go a step further than we did, buy some melting chocolate chips and tip your finished product in the rich flavor of milk or even dark chocolate. Place on a cookie tray and cool in the refrigerator. Happy eating! Lay 24 Ritz crackers on the lined cookie sheet and generously spread Nutella on 12 of them. Spread a heaping Tablespoon of marshmallow creme on the remaining crackers. 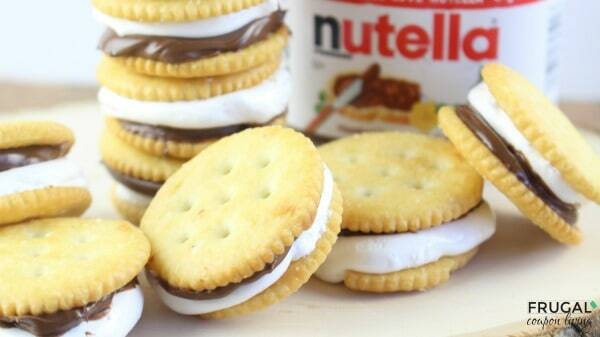 Place the Nutella and marshmallow creme crackers together, like a sandwich. Optional: Consider dipping the cracker sandwich in melted chocolate and let cool! One of our most popular treats is our S’mores Campfire Cones! Pin to Pinterest. 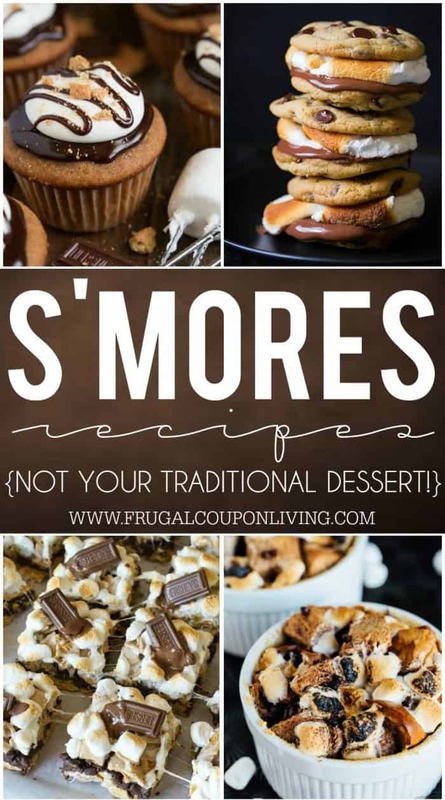 enjoy these S’more Recipes. Some of the best ideas around the web! Pin to Pinterest. I love slip-on shoes, and these cushioned bow flats are super cute – the ultimate feminine tennis shoes. Right now, you can get these for $24.99 (reg. $55). These shoes come in three colors. They would look super cute with your favorite skinny jeans or shorts and a tank or tee. I wear slip-on shoes all the time because they’re so quick and easy to get on. I love the feminine detail the bow gives. These would totally be my go-to sneakers.